The Oil Drum blog of The Oil Drum. 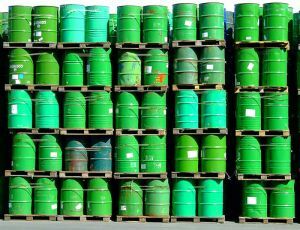 What If The "Peak Oil" Curve Is A Myth? The impacts of the disruptions in the Middle East are now starting to become evident as supplies no longer flow into the delivery pipelines that carry fuel from countries such as Libya to their European customers. It is now considered likely that the 1.6 mbd that Libya delivers to the world market will not be available for some time. Ireland, for example, which has had other problems with the banks in the recent past, is now faced with the loss of perhaps 23% of its fuel supply, which while only 14 kbd is, for that country, likely to be very significant. For while the Libyan shortage at present may be just due to Gadhafi ordering the ports closed, if he is also ordering the destruction of facilities, as is rumored, then the consequences may be more long term. ENI has reported that the Libyan shortfall is currently 1.2 mbd. The premium on high quality light, sweet crude has risen to its highest in nearly two years as European refiners seek alternative supplies to offset production losses in Libya. The crisis in Libya is halting production of some of the world’s most coveted oil. Light, sweet crudes tend to trade at premiums to heavier grades because they yield higher value gasoline. As refineries seek alternative supplies of similar high quality oil in west Africa and the Caspian region, they are pushing up price differentials, traders said. The premium paid for Nigeria’s high quality, low sulphur Bonny Light crude oil surged on Monday to $2.53 a barrel more than Brent, the highest in almost two years, according to Bloomberg data. The premium has risen about 40 per cent over the past month. 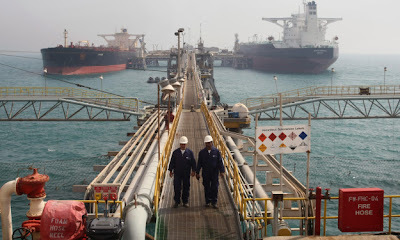 “It says a lot about the state of the world that European refiners are seeking Nigerian oil as a haven against the turmoil in north Africa,” a London-based oil trader said. Traders reported similar jumps in the cost of other west African and Caspian premium crude oil grades. The International Energy Agency, the western countries’ oil watchdog, said that between 850,000 and 1m barrels per day of crude oil production were now shut down in Libya, up from an estimate of 850,000 b/d on Friday . “The level of production outages may be creeping higher,” said David Fyfe, head of oil markets at the IEA. Libya’s crude oil stream includes Es Sider, whose light density and low sulphur content makes it an alternative to light, sweet global benchmarks such as Brent crude or West Texas Intermediate. The price of Brent crude, the global benchmark, was little changed on Monday. ICE April Brent traded three cents higher at $112.17 a barrel. Nymex April West Texas Intermediate fell 27 cents to $97.59 a barrel. Analysts and traders are bracing themselves for sustained supply disruption in Libya, which could tighten global oil markets. 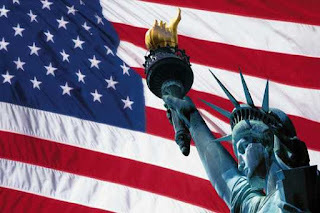 Francisco Blanch, head of commodities research at Bank of America Merrill Lynch in New York, said that even more worrying was turmoil in countries such as Algeria, Syria, Yemen or Saudi Arabia. “The risk of continued tensions in the region remains high,” he said. Libya's remote oil fields are becoming a troubling no-man's land after a series of daring commando missions by British and German military pilots evacuated hundreds of foreign oil workers stranded in the desert. About 500 foreign nationals were rescued, leaving Libyan personnel in charge of the valuable oil fields, experts said. Looters are making off with what they can take as local tribal leaders try to assert control over the facilities, which produce 2 percent of the world's oil supply. "There's now no law down there," Simon Robinson, who had been in charge of one of the rigs, told The Independent today after he arrived on a Royal Navy frigate from Libya. Most of the Libyan oil field are hundreds of miles from the coast in a barren, desolate desert long known for its lawlessness and banditry. "Gangs are stealing anything they can get their hands on," Robinson said. "I had a vehicle stolen directly off me. Three guys appeared with AK-47s. I know exactly which kind of gun it was, as I can remember reading the small print on the barrel when one was pointed at me." Not only is the Libyan crisis making oil prices skyrocket, but the future of oil production in the increasingly dangerous country is now a big question mark. "The biggest question is that even if they do manage to restore the flow of oil, it's unclear who companies will buy oil from," Geoff D. Porter, a political risk and security consultant for companies in North Africa, told AOL News. "You can't just buy oil from anybody. Ownership has to be legally established. The tribal councils are trying to assert some control, but it's not clear if they have the authority to do that, or if the oil still belongs to Gadhafi," Porter said. Porter said that most of the big oil companies, like BP, already had a plan in place and got their foreign workers out two days after the Libyan crisis began Feb. 17. But the British and German military have been needed for most of the remaining foreign oil workers. The missions were especially dangerous because the planes went in without obtaining Libya's permission, officials said. Gunfire from rebels hit one British Royal Air Force C130 Hercules pilot's helmet during the series of secret air rescue raids this weekend. The insurgents mistook the British for members of Moammar Gadhafi's regime, the BBC reported. Marsden Sims, 63, a civil engineer from Tonyrefail, Wales, said that locals had burned a reading room at his site, and that looters were targeting cars and property, the BBC reported. "We didn't have direct trouble to begin with, but when word spread from the TV reports, things got quite agitated," he said. "We were in one works compound at Messla, and a few nights ago we saw looters outside taking vehicles and equipment." Thousands of Americans, British, Germans and other Europeans have been evacuated by planes, military vessels and even chartered ferries. But thousands of poorer workers, from Bangladesh, China, Somalia and Ethiopia, have been forced to flee into neighboring Tunisia or Egypt. One group of oil company workers made a risky, six-hour trip from a southern oil field to board a ship to Britain when they realized no help was coming, The Associated Press reported. BAGHDAD – Gunmen stormed Iraq's largest oil refinery and bombed the facility Saturday, forcing operations to shut down at a time when Iraqis are already suffering through electricity shortages and lines at the gas pump. The attack north of Baghdad casts doubt on the Iraqi government's ability to protect its vital infrastructure and could shake already nervous international investors. If not fixed swiftly, the shutdown will likely further fuel anger over a lack of public services that led to violent nationwide protests last week. "It probably couldn't have come at a worse time for (Prime Minister) al-Maliki and his government," said Raad Al-Kadiri, an energy analyst with the Washington-based PXE Energy. The Beiji oil refinery accounts for a little more than a quarter of the country's entire refining capacity — all of which goes toward domestic consumption for things like gasoline, cooking oil and fuel for power stations. One of the key demands during protests Friday in which at least 14 people were killed was that Prime Minister Nouri al-Maliki's government improve the country's electricity output — some Iraqis get only a few hours a day. A lengthy outage would force Iraq, already grappling with a $13 billion budget deficit, to purchase more refined products on the open market. Analysts said storage facilities in Dora and Basra will be able to compensate for at least some of the immediate shortfall in production. The sophisticated attack against the Beiji facility, located about 155 miles (250 kilometers) north of Baghdad in the heart of what used to be an al-Qaida infested area, was carried out in the dead of night. Assailants carrying pistols fitted with silencers attacked the guards at about 3:30 a.m. and planted bombs near some benzene and kerosene production units, said the spokesman for Salahuddin province, Mohammed al-Asi. One guard was shot dead and another wounded, al-Asi said. Smoke could be seen billowing from fields around the sprawling facility where fires raged for hours. Dr. Abdul Jabbar al-Halfi, a professor at Basra University's oil engineering department and frequent visitor to the Beiji refinery, pointed out that visitors to Beiji need a special badge to even get within a mile (2 kilometers) of the facility and suggested it might have been an inside job. There was no immediate claim of responsibility, although insurgents have targeted oil facilities in the past. 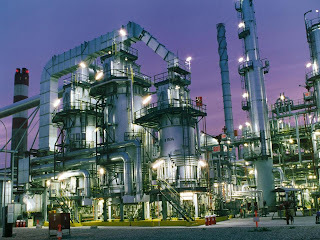 The attackers knocked out the installation's North Refinery, which handles about 150,000 barrels a day; the refinery's other section, called the Salahuddin Refinery, is under renovation and was not affected. Iraqi Oil Ministry spokesman Assem Jihad said an investigation would be launched. Technicians currently repairing the refinery estimated it would be back online later this week, the province spokesman Al-Asi said. Authorities dispatched about 45 soldiers to temporarily protect the facility. But the complicated attack on one of the most vital installations in the country raises questions about the government's ability to protect its own infrastructure. At the height of the insurgency from 2004 to late 2007, the Beiji refinery was under the control of Sunni militants who used to siphon off crude and petroleum products to finance their operations. Iraq has the world's third-largest known oil reserves with an estimated 115 billion barrels, but its production is far below its potential due to decades of war, U.N. sanctions, lack of foreign investment and insurgent attacks. Al-Maliki's government has tried to drum up international investment through three energy auctions. While those have focused on developing oil fields as opposed to refineries, any uptick in violence against oil-related installations could rattle investors. Most oil companies doing business in Iraq, even in the relatively stable southern region, spend huge sums of money on security, including armed guards, armored vehicles. "The oil industry and investors, while they're there in great numbers, already have one eye toward security," al-Kadiri said. Hours after the Beiji facility was attacked, a fire in a storage unit at the small refinery in Samawa, a city on the Euphrates River about 230 miles (370 kilometers) southeast of Baghdad, knocked the facility offline, according to a local official. The official, who spoke on condition of anonymity because he was not authorized to release information, said the fire was caused by a technical failure, not sabotage. He wouldn't say when work would resume at the plant, which has a production capacity of 30,000 barrels per day. Iraq's current nationwide refining capacity stands at just more than 500,000 barrels per day. The country's three main oil refineries — Dora, Shuaiba and Beiji — now process around 350,000 barrels per day, roughly half of their prewar capacity. Last year, Baghdad invited investors to help build four oil refineries at an estimated cost of $23 billion that would more than double the country's current refining capacity. Associated Press writers Sinan Salaheddin and Mazin Yahya contributed to this report. 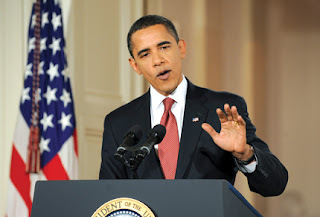 WASHINGTON – Ratcheting up the pressure, President Barack Obama on Saturday said Moammar Gadhafi has lost his legitimacy to rule and urged the Libyan leader to leave power immediately. "When a leader's only means of staying in power is to use mass violence against his own people, he has lost the legitimacy to rule and needs to do what is right for his country by leaving now," the White House said in a statement, summarizing Obama's telephone conversation with German Chancellor Angela Merkel. Secretary of State Hillary Rodham Clinton said Libyans "have made themselves clear." "Gadhafi has lost the confidence of his people and he should go without further bloodshed and violence," she said in a separate statement. "The Libyan people deserve a government that is responsive to their aspirations and that protects their universally recognized human rights." The administration upped its pressure a day after it froze all Libyan assets in the U.S. that belong to Gadhafi, his government and four of his children. The U.S. also closed its embassy in Libya and suspended the limited defense trade between the countries. Clinton announced further sanctions Saturday, revoking visas for senior Libyan officials and their immediate family members. She said applications from these people for travel to the United States would be rejected. Obama has been conferring with world leaders about the unrest in Libya. The administration is hoping that the world speaks with a single voice against Gadhafi's violent crackdown on protesters, and Obama is sending Clinton to Geneva on Sunday to coordinate with foreign policy chiefs from several countries. The U.N. Security Council met Saturday to debate new sanctions against Libya but disagreed over a proposal to refer Gadhafi and his top lieutenants to an international war crimes tribunal. Secretary-General Ban Ki-moon wants immediate action to protect Libyan civilians. The U.N. chief was due in Washington on Monday for talks with Obama at the White House. The administration has faced increasing pressure to more forcefully condemn Gadhafi and explicitly call for his ouster, as demanded by French President Nicolas Sarkozy. Witnesses in Libya said Gadhafi is arming civilian supporters to set up checkpoints and roving patrols in Tripoli, the capital. The U.S. held back, but its tone shifted sharply Friday after Americans in Libya were evacuated to safety by ferry and a chartered airplane. Shortly after, Obama signed an executive order outlining financial penalties designed to pressure Gadhafi's government into halting the violence. The order said that the instability in Libya constituted an "unusual and extraordinary threat" to U.S. national security and foreign policy. A nonviolent revolt against Gadhafi's government began Feb. 15 amid a wave of uprisings in the Arab world. Most of Libya's eastern half is under the control of rebels. Witnesses say Gadhafi's government has responded by shooting at protesters in numerous cities. Meanwhile, Libya's top envoy to the U.S. claimed that Gadhafi's opponents were rallying behind efforts to establish an alternative government led by a former Libyan minister. He said the international community should back the movement. The claim by Ambassador Ali Aujali couldn't be immediately verified and it was unclear what support the "caretaker government" led by ex-Justice Minister Mustafa Abdel-Jalil commanded. But Aujali said the U.S. and other countries could accelerate Gadhafi's exit by supporting Abdel-Jalil. "He is a very honest man, a man with dignity," Aujali told The Associated Press. "I hope this caretaker government will get the support of Libyans and of the international community." The State Department said it had no knowledge of Abdel-Jalil's effort. U.S. stock futures gained after crude oil declined and OPEC member nations assured of higher supply to meet any shortfall from Libya. International Energy Agency also said it will release from its stockpile. Unrest and disruptions in Libya and Bahrain continue. World indexes rose after crude oil prices declined as Saudi Arabia confirmed to increase oil supplies if needed and the International Energy Agency said it will release oil from its stockpile. Libya remained tense and protests continued in Bahrain. LONDON—Oil refiners and trading companies are making enquiries for alternatives to Libyan crude with the favored sources being from ports in West Africa and Ceyhan in Turkey, said the chief executive of New York-listed Teekay Tankers Ltd.
"Most enquiries are from companies wanting to source oil from West Africa and Ceyhan now, because the crude oil from these regions is lighter and sweeter than that of Saudi oil. 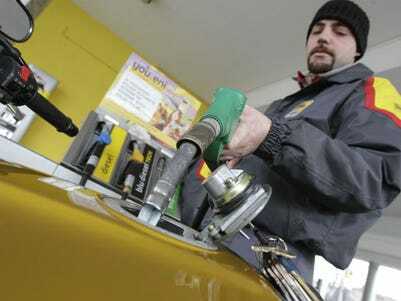 The Italian refiners prefer the lighter blends," Bruce Chan said in an interview late Thursday. Although Turkey is not a major oil producer, its role as an increasingly important oil transit country makes it vital to world oil markets, particularly Europe. Nigeria meanwhile produces the same high-quality, light, sweet crude as Libya. Freight rates will start to reflect this change in shipping routes in a matter of days or weeks, Mr. Chan said, with low stocks in Italy exacerbating the situation. "Also, voyage times are longer from West Africa away," he added. Commercial ports in Libya have been closed on the order of the country's head of state since Tuesday, but many of the oil terminals remain open, he said, and vessels at certain ports have loaded crude oil and have left Libya already. "Certain vessels from oil terminals have already received oil and could leave Libya, with some terminals functioning depending on location in the country. There are mixed-messages as to which terminals are operating normally and which are closed," Mr. Chan added. According to Lloyds List, at least one ship, the Sea Bravery, departed Es Sider with a crude cargo Feb, 23, heading for Cork in Ireland. There are other tankers currently heading to Libya to pick up cargoes, Lloyds List said, although a number of ships that were heading there in previous days have then been diverted. Favored locations for distressed vessels are Malta and Gibraltar, shipping and tanker sources said. A suezmax owned by Teekay Tankers that is scheduled to load crude oil in Libya's Zueitina port over the next 24 hours hasn't yet received orders from the vessel's charterer. "At present, the vessel has not been ordered to head to Zueitina port yet so it's resting 100-150 miles offshore Libya in a close, safe location. The vessel is on standby if the situation changes," Mr. Chan said. "I believe the reason for which our vessel will not dock is because the scheduled port in the eastern part of the country. The terminals which are away from the disruptions appear to be functioning better," Mr. Chan said. There has already been looting in several Libyan ports. "According to people I've spoken to on the ground in Libya, people have broken into ports with stuff being stolen out of containers, so people are scared about shipments arriving at the ports," said Ugur Dalbeler, vice-chairman of the Turkish Steel Producers Association. Zueitina port is located 130 kilometers south of Benghazi city, in the east of Libya. The port has offshore loading berths for oil tankers and liquefied petroleum gas carriers and handles about 270 vessels a year. The current instructions for loading and payment of the ship are standard charter-party contractual terms, where the charterer advises Teekay's ship operations group. Payment for the voyage also comes from the international oil company that charters the oil tanker, Mr. Chan added. Should the Libyan crisis persist, Mr. Chan said the likelihood of piracy could rise as different, more risky routes are used. News of the growing unrest came as a former Libyan justice minister claimed Gaddafi personally ordered the bombing of Pan Am Flight 103, which exploded over the Scottish town of Lockerbie in 1988. Nigerian militant leaders declared Friday that the country's most prominent rebel group, Movement for the Emancipation of the Niger Delta, no longer exists and was not capable of unleashing any further violence on the oil and gas industry. 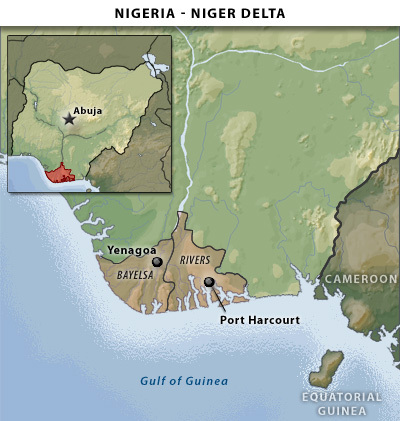 Eleven former warlords, who were themselves commanders of various camps of the MEND, spread across Nigeria's southern oil patch, said in a paid advertisement in the local media that other, were using the group's name to perpetuate their acts. 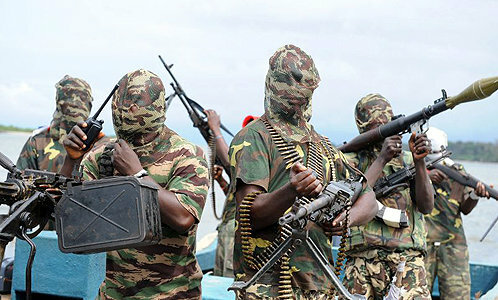 "We want to confirm that MEND as a structured organization operating in the Niger Delta, no longer exists," the former militant leaders stated. "We disbanded our operations following the acceptance of the offer of amnesty and institutionalization of the post-amnesty program by the federal government." They urged the government, oil companies and the international community to disregard the recent threat purportedly issued by a spokesman for MEND under the pseudonym Jomo Gbomo, to attack oil targets in the Niger Delta, saying that it came from criminals. MEND was responsible for the most of the attacks on Nigeria's oil production facilities between 2006 and 2009, which cut the country's output down to around 1 million b/d from 2.6 million b/d. The government's amnesty and unconditional pardon to militants in October 2009 saw thousands surrender their weapons, ending hostilities in the region and helped Nigeria's oil production rebound to 2.6 million b/d, according to government figures. However, pockets of violence erupted in the region towards the end of 2010 with attacks on pipelines operated by Shell, Chevron and state-owned Nigerian National Petroleum Corp. The Niger Delta People's Liberation Front, claiming to be a faction of MEND, claimed responsibility for the attacks. Energy traders were calmed by news that Saudi Arabia was in talks with European refiners to fill the gap caused by the disruption in Libya. 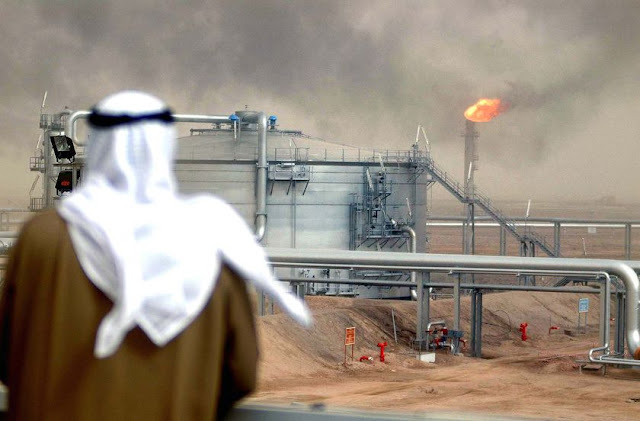 When it comes to shoring up oil markets, the Saudis have put political grievances aside. Crude oil prices pulled back from highs not seen since 2008 as leaders from Saudi Arabia to the White House offered fresh assurances that the world wouldn't run short of oil despite violence in the Mideast and North Africa. "They know their value to the world is as the central bank of oil," said F. Gregory Gause III, professor of political science at the University of Vermont. "They're signaling, 'Don't worry, we'll take care of it.' They like the high revenues but they want to make sure there is no crisis." The Saudis have said repeatedly that they would provide more oil to the market, and by Thursday, they had made statements about being in "active talks" with oil companies to compensate for any Libyan shortfall. It's all an attempt to keep oil from soaring back toward the record $147 a barrel of July 2008. "The fear premium is back and we're now talking real oil, real disruptions," said David Knapp, chief economist with Energy Intelligence Group, an industry analysis firm. "Libya is a significant source of petroleum products and natural gas going across the Mediterranean." Over the last few years, Saudi Arabia has signaled to the market that it prefers that the price of oil stay in a sweet spot between $70 and $90 a barrel, and it is willing to pump or cut back to keep prices there. Though members of the Organization of the Petroleum Exporting Countries have official quotas for production, their actual output cannot be independently verified, which leaves room for countries to increase or decrease exports. Still, analysts often guess actual production, based on information from refiners and shipping companies. The Saudis' official OPEC quota is about 8.05 million barrels a day, but analysts like Knapp estimate that the kingdom has pumped an additional 400,000 barrels a day since October to meet growing global demand as economies recovered. Yet whenever tensions flare in the Middle East or relations with the United States sour, worries emerge that Saudi Arabia might use oil as a political tool as it did during the 1973 embargo. Certainly, ties are strained now between the two countries. The Saudis were stunned by the Americans' swift disavowal of their 30-year alliance with Egyptian President Hosni Mubarak. In an unusual public step, a Saudi official leaked to the Times of London details of a tense phone call between President Obama and King Abdullah in late January when the king warned the U.S. not to "humiliate" Mubarak and vowed that he would bankroll any American aid Egypt lost. The king was angered "by our handling of it, on the obvious grounds that if you don't keep faith with your friends, you have no friends," said Charles Freeman Jr., a former ambassador to Saudi Arabia. "Of course we had a dilemma with Egypt, but the king has no reason to be sympathetic to it." Still, the Saudis have kept oil apart from politics for decades now. The oil ministry is run by engineers and bureaucrats, not members of the royal family, giving it some distance from political concerns. Moreover, Saudi Arabia has invested more than $60 billion in refurbishing existing fields that sit idle but can be brought on line within 30 days or so, said Jean-Francois Seznec, an expert on the political economy of the Persian Gulf and visiting associate professor at Georgetown University. That investment has given Saudi Arabia about 3.5million barrels of so-called spare capacity, more than any other country. And though Saudi crude oil differs from Libyan petroleum, most refiners in Europe will be able to process it, analysts said. The Libyan crisis has touched off calls largely from Republican congressional leaders to open more U.S. territory to drilling. But the United States has less than 2% of the world's proven reserves, compared with Saudi Arabia's nearly 20%. In the meantime, the Middle East crisis may push the U.S. and Saudi Arabia closer together. The biggest beneficiary of increased Saudi output would be the United States, which consumes a quarter of the world's crude oil. And with friendly regimes around it falling, the Saudis may be compelled to draw nearer to the U.S., Gause said. "I think it's comparable to how they felt after the shah fell," Gause said. "It's the same sense of shock and disappointment in the lack of American responsibility. But the changes are so big that they force Saudi Arabia back to us, because they have no one else they can rely on." ABUJA, Nigeria—Nigeria has spent more than $27 billion from its oil-windfall savings account in three years, significantly eroding the total and putting the financial health of Africa's most populous country and biggest oil producer under scrutiny ahead of April presidential elections. Officials here say they spent $27.5 billion from their so-called Excess Crude Account to weather the global financial crisis and to counteract falling oil prices, and that they can account for "every penny" spent. But analysts say the depletion of the account—combined with dwindling exchange reserves, a rising debt profile and a lack of fiscal transparency — represent financial setbacks for a country that is poised to become Africa's biggest economy by the end of the decade. The criticism reflects concern that Nigeria could be deprived of funds from much-needed infrastructure projects and maybe forced into financial straits if the price of oil drops sharply. The debate over the government's fiscal responsibility has fed into a contentious presidential-election campaign. Since 2008 Nigeria has spent $27.5 billion from the Excess Crude Account, and there is now $5 billion in the account from a 2007 high of $20 billion, according to Segun Aganga, the Nigerian Minister of Finance. "I have nothing to hide," Mr. Aganga said in an exclusive interview Tuesday. "The [excess crude] account was used, it did not disappear. It was used to augment the budget when there was a sustained fall in the oil price." Some analysts disagree, however, arguing that the amount spent is not commensurate with need. "With oil prices up again, withdrawals are not justified to stabilize the economy," said Antoine Heuty, the deputy director of New York-based Revenue Watch Institute, a group working to promote financial transparency in governments. "The $5 billion in the ECA is unlikely to provide a strong enough cushion for the economy in case of a new economic shock." "Political motivations provide a more compelling rationale for the drawdown on the ECA," Mr. Heuty said. "It demonstrates the grip of state governors on fiscal management in the country and spending pressures to influence the outcomes of the upcoming elections. The lack of transparency regarding the size of the withdrawals and the allocation of the funds fuels corruption and the mismanagement of public resources." Mr. Aganga said that the government can account for "every penny" that came into the account, but he admitted that he has no oversight over how money from the account gets spent once it is distributed to the Nigerian states. "That is not my job," Mr. Aganga said. "The problem we have is that we do not talk enough, we do not share information. It's a lack of transparency, a lack of adequate disclosure." Nigeria weathered the global downturn better than most other countries. The International Monetary Fund projected Nigeria's economic growth at 8.5% in 2010, more than twice as fast as the continent's biggest economy, South Africa. It predicted this year, the economy would grow by 7%, thanks in part to the emergence of a consumer class and demand for retail goods, telecommunications and other services. Mr. Aganga, who is a former Goldman Sachs executive and was appointed finance minister in April 2010, said that $8.2 billion was spent on improving the country's power sector, though that sector remains erratic and leaves the majority of Nigeria without electricity for weeks at a time. He did not provide any additional breakdowns. The excess crude account, which was never formally passed into law, was established in 2004 by then-Nigerian Finance Minister and current World Bank Managing Director Ngozi Okonjo-Iweala and accrues funds when the world oil price is above a benchmark oil price set in Nigeria's national budget. In an interview Tuesday, Nigeria's central-bank governor, Sanusi Lamido Sanusi, said a priority was keeping the economy on track. Rejecting recent IMF comments that Nigeria's currency is overvalued, he said the central bank will stick to a stable exchange-rate policy as the country ramps up its economic growth. The central-bank governor said Nigeria could grow at twice the clip projected by the IMF by overhauling its lackluster infrastructure. Abuja (WorldStage Newsonline)-- Shell Corporation has pledged to play a major role in Nigeria’s petroleum industry in spite of the latest threat by the Niger Delta militants to resume attacks on oil facilities. Shell which currently responsible for more than half of Nigerian crude oil output was reported to be planing the sales of some of its onshore assets in the country. While noting that the partnership between IOCs and Nigerian National Petroleum Corporation (NNPC) was a long-established and highly successful way to exploit natural resources and develop capabilities, he said that the Federal Government had to be convinced that the IOCs were meeting the country’s need in a responsible manner and at a cost they could accept. Craig, who also stated that the IOCs had to demonstrate that they brings real value to the partnership, said: “The IOC has to make a return on its investment which reflects the risks, be comfortable with the business framework and be confident in long term future. A fair balance of risk and reward is essential to a long term value-driven partnership. The Shell chief stressed that the company and its partners had divested some onshore blocks to indigenous companies, adding that it was a natural progression, which should be allowed to focus resources on the areas where there can be differences. “The changes of ownership also assist in broadening the industry and accelerating the development of local capabilities,” he said. He said that what set IOCs apart from the independents and the technical contractors was the scale of their research and development efforts and the depth of their experiences. Craig said: “The only proviso is that the business environment must provide the framework that these multi-billion dollar investments require. At this conference last year, my predecessor spoke about the need for the swift passage of a petroleum industry bill that would enable substantial long term investment in many of the areas. NEW YORK -Stocks had their worst drop this year and oil prices surged Tuesday after Libyan leader Moammar Gadhafi clung to power in the face of mounting protests. The capital of the oil-rich country has plunged into chaos. That's causing to concerns that the unrest that has already toppled dictators in two of Libya's neighbors, Tunisia and Egypt, could spread to other countries in the region like Iran and disrupt the flow of oil. Oil prices jumped 6 percent to $95 a barrel. Libya is the world's 15th largest exporter of crude, accounting for 2 percent of global daily output. It also has the largest oil reserves in Africa. The Dow Jones industrial average sank 178.46 points, or 1.4 percent, to close at 12,212.79. It was the biggest drop since Nov. 16. Bond prices rose as investors sought safety. Gadhafi vowed to fight to his "last drop of blood" and roared at his supporters to take to the streets against protesters demanding his ouster. A violent crackdown in Tripoli has resulted in wild shooting and bodies in the streets. Protesters backed by defecting army units claimed control over the eastern half of Libya's Mediterranean coast. The Standard & Poor's 500 index fell 27.57, or 2 percent, to 1,315.44. It was the S&P's worst day since Aug. 11. The Nasdaq fell 77.53, or 2.7 percent, to 2,756.42. The main worry among traders is that unrest will spread to other oil-rich countries in the Middle East and North Africa. Protests are continuing in Yemen and Bahrain. Oil producers rose with the prospect of a drop in oil supply. Chevron Corp. gained 1.6 percent, the largest gain among the 30 large companies that make up the Dow Jones industrial average. Exxon Mobil Corp. rose 1 percent. Higher fuel costs hurt airline stocks. Delta Air Lines Inc., American Airlines parent AMR Corp., United Continental Holdings Inc. and US Airways Group Inc. all dropped by 5 percent or more. Investors drove into the relative safety of Treasurys, pushing their prices higher and lowering their yields. The yield on the 10-year Treasury fell to 3.46 percent from 3.59 percent late Friday. Higher oil prices also pinch U.S. consumers by pushing up the price of gas. "This puts a damper on consumer optimism, which is really critical at this stage of the recovery," said Alan Gayle, senior investment strategist for RidgeWorth Investments. Wal-Mart Stores Inc. fell 3 percent after revenue at stores open at least a year fell for the seventh straight quarter. That raised worries about the company's ability to turn around its U.S. business this year. Barnes & Noble Inc. fell 14 percent after the bookseller said its net income fell 25 percent. The company also suspended its dividend and said it would not forecast its fourth-quarter or full-year earnings following last week's bankruptcy filing by Borders Group. Falling stocks outnumbered rising ones nine to one on the New York Stock Exchange. Consolidated trading volume was 5.5 billion shares. WASHINGTON (Reuters) – Four Americans on a yacht taken over by pirates were killed near Somalia, CNN reported on Tuesday, citing U.S. defense officials. The Americans were apparently shot during negotiations, CNN reported. CAIRO – Deep cracks open up in Moammar Gadhafi's regime after more than 40 years in power, with diplomats abroad and the justice minister at home resigning, air force pilots defecting and a fire raging at the main government hall after clashes in the capital Tripoli. Protesters called for another night of defiance in Tripoli's main square despite the government's heavy crackdown. Gadhafi's regime appeared to be preparing a new major assault in the capital Monday night in an attempt to crush unrest that has already swept the eastern parts of the country — leaving Libya's second largest city in protesters' control — and was now overwhelming the capital of 2 million people. State TV at nightfall Monday announced that the military had "stormed the hideouts of saboteurs" and called on the public to back the security forces as protesters called for a new demonstration in central Green Square and in front of Gadhafi's Tripoli residence. Military warplanes were seen swooping low over the city in the evening, and snipers had taken position on the roofs of buildings around Tripoli, apparently to stop people from outside the capital from joining the march, according to Mohammed Abdul-Malek, a London-based opposition activist in touch with residents. Communications into the capital appeared to have been cut, and mobile phones of residents could not be reached from outside the country. State TV showed images of hundreds of Gadhafi supporters rallying in central Green Square Monday evening, waving pictures of the Libyan leader and palm fronds. The eruption of turmoil in the capital after six days of protests and bloody clashes in Libya's eastern cities sharply escalates the challenge to Gadhafi, the Arab world's longest ruling leader. His security forces have unleashed the bloodiest crackdown of any Arab country against the wave of protests sweeping the region, which toppled the leaders of Egypt and Tunisia. At least 233 people have been killed so far, according to New York-based Human Rights Watch. The chaos in Libya, an OPEC country that is a significant oil supplier to Europe, was raising international alarm. Oil prices jumped $1.67 to nearly $88 a barrel Monday amid investor concern. European nations were eying an evacuation of their citizens. British Prime Minister David Cameron, visiting neighboring Egypt, called the Libyan government's crackdown "appalling." "The regime is using the most vicious forms of repression against people who want to see that country — which is one of the most closed and one of the most autocratic — make progress," he told reporters in Cairo. The heaviest fighting so far has been in the east. In Libya's second largest city, Benghazi, security forces opened fire on Sunday on protesters storming police stations and government buildings. But in several instances, units of the military turned against them and sided with protesters. Celebrating protesters raised the flag of the country's old monarchy, toppled in 1969 by a Gadhafi-led military coup, over Benghazi's main courthouse and on tanks around the city. "Gadhafi needs one more push and he is gone," said Amal Roqaqie, a lawyer at the Benghazi court, saying protesters are "imposing a new reality ... Tripoli will be our capital. We are imposing a new order and new state, a civil constitutional and with transitional government." Gadhafi's son, Seif al-Islam, went on state TV in the early hours Monday with a sometimes confused speech of nearly 40 minutes, vowing to fight and warning that if protests continue, a civil war will erupt in which Libya's oil wealth "will be burned." 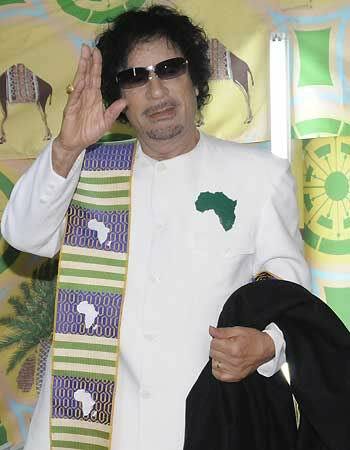 "Moammar Gadhafi, our leader, is leading the battle in Tripoli, and we are with him," he said. "The armed forces are with him. Tens of thousands are heading here to be with him. We will fight until the last man, the last woman, the last bullet." he said. He also promised "historic" reforms in Libya if protests stop, and on Monday state TV said he had formed a commission to investigate deaths during the unrest. Protesters ignored the vague gestures. Even as he spoke, the first clashes between protesters and security forces in the heart of Tripoli were still raging, lasting until dawn. During the day Monday, a fire raged at the People's Hall, the main hall for government gatherings where the country's equivalent of a parliament holds its sessions several times a year, the pro-government news web site Qureyna said. It also reported the first major sign of discontent in Gadhafi's government, saying justice minister Mustafa Abdel-Jalil resigned from his post to protest the "excessive use of force against unarmed protesters." Libya's U.N. ambassadors called for Gadhafi to step down, and there were reports of a string of ambassadors abroad defecting. Libya's former ambassador to the Arab League in Cairo, Abdel-Moneim al-Houni, who a day earlier resigned from his post to side with protesters, issued a statement demanding Gadhafi and his commanders and aides be put on trial for "the mass killings in Libya." "Gadhafi's regime is now in the trash of history because he betrayed his nation and his people," al-Houni said. A Libyan diplomat in China, Hussein el-Sadek el-Mesrati, told Al-Jazeera, "I resigned from representing the government of Mussolini and Hitler." Two Mirage warplanes from the Libyan airforce fled a Tripoli air base and landed on the nearby island of Malta, and their pilots — two colonels — asked for political asylum, Maltese military officials said. The capital Tripoli was largely shut down Monday, with schools, government offices and most stores closed, except for a few bakeries serving residents hunkered in their homes, residents said. Outside, armed members of pro-government organizations called "Revolutionary Committees" circulated in the streets hunting for protesters in Tripoli's old city, said one protester, named Fathi. Protesters planed new marches Monday evening in the capital's main Green Square and at the leader's residence. A similar march the night before sparked scenes of mayhem in the long heavily secured capital. Sunday evening, protesters from various parts of the city streamed into Green Square, all but taking over the plaza and surrounding streets in the area between Tripoli's Ottoman-era old city and its Italian-style downtown. That was when the backlash began, with snipers firing down from rooftops and militiamen attacking the crowds, shooting and chasing people down side streets, according to several witnesses and protests. Gadhafi supporters in pickup trucks and cars raced through the square, shooting automatic weapons. "They were driving like mad men searching for someone to kill. ... It was total chaos, shooting and shouting," said one 28-year-old protester. The witnesses reported seeing casualties, but the number could not be confirmed. One witness, named Fathi, said he saw at least two he believed were dead and many more wounded. After midnight, protesters took over the main Tripoli offices of two state-run satellite stations, Al-Jamahiriya-1 and Al-Shebabiya, one witness said. Fragmentation is a real danger in Libya, a country of deep tribal divisions and a historic rivalry between Tripoli and Benghazi. The system of rule created by Gadhafi — the "Jamahiriya," or "rule by masses" — is highly decentralized, run by "popular committees" in a complicated hierarchy that effectively means there is no real center of decisionmaking except Gadhafi, his sons and their top aides. Seif has often been put forward as the regime's face of reform and is often cited as a likely successor to his father. Seif's younger brother Mutassim is the national security adviser, with a strong role in the military and security forces, and another brother Khamis heads the army's 32nd Brigade, which according to U.S. diplomats is the best trained and best equipped force in the military. The revolt in Benghazi and other cities in the east illustrated the possibility of the country crumbling. In Benghazi, cars honked their horns in celebration and protesters in the streets chanted "Long live Libya" on Monday after bloody clashes Sunday that killed at least 60 people as security forces defending besieged stations opened fire with heavy caliber machine guns and anti-aircraft guns. Benghazi's airport was closed, according to an airport official in Cairo. A Turkish Airlines flight trying to land in Benghazi to evacuate Turkish citizens Monday was turned away, told by ground control to circle over the airport then to return to Istanbul. There were fears of chaos as young men — including regime supporters — seized weapons from the Katiba and other captured security buildings. "The youths now have arms and that's worrying," said Iman, a doctor at the main hospital. "We are appealing to the wise men of every neighborhood to rein in the youths." AP correspondents Sarah El Deeb and Hamza Hendawi in Cairo contributed to this report. How important is the Suez Canal to the transport of crude oil and refined petroleum products? a. The Suez Canal provides the shortest route for transporting cargo from the Gulf and the Far East to Europe and the US, which together consume roughly 50 per cent of global crude oil production. Due to the canal's limited ability to accommodate the largest vessels, the SuMed (Suez-Mediterranean) pipeline, which also runs through Egypt, is used to transport crude oil from the south side of the canal to the north side, where ships reload in the Mediterranean. A disruption in canal traffic could change tanker routes, leading to increased movement of liquid cargo from regions outside the Gulf (for instance, west Africa and Venezuela), which would tighten global ship capacity and cause tanker rates to increase. The perception of heightened geopolitical risk or another "fear factor" could also cause the market to react. For example, storage of liquid cargo could increase, which would further tighten ship capacity and support rate gains. How would tanker operators change operations or route their ships if there is a disruption to the Suez Canal? A disruption to the Suez Canal would mean significantly longer voyage time for ships. A ship sailing from the Gulf to the US and travelling through the canal would, depending on its speed, complete its voyage in about 25 to 30 days. Without access to the canal, the same voyage, routed through the Indian Ocean, around the Cape of Good Hope and then all the way back north to the US could take as much as 50 days. Similarly, a ship travelling to Europe through the canal could complete its voyage in 12 to 15 days. Without access to the canal, the trip could take as much as 15 additional voyage days. On top of the increasing transit time, rerouting ships along the Horn of Africa and into the Indian Ocean puts them in the middle of sea lanes menaced by pirates operating from Somalia - increasing the probability of hijacking attacks. Could tanker operators benefit from a potential disruption to the Suez Canal? Depending on the severity and duration of such a disruption, tanker operators would benefit from longer ton-miles travelled, which would lead to higher vessel utilisation and reduce current tanker overcapacity. This would, in turn, bring improved tanker rates - a positive factor for an industry still working its way through three years of excess vessel supply. We believe that if this scenario were to play out, product tankers such as LR1s (long-range product tankers, which often carry refined products such as petrol) and Panamaxes (small tankers) would feel the most immediate impact, since these ships account for a fair amount of liquid cargo transiting the canal, primarily to Europe and to a lesser extent to the US. A sustained disruption to the canal, we believe, would cause increased demand for the largest tankers - ultra large crude carriers (ULCCs) and very large crude carriers (VLCCs) - because they provide the most economies of scale for hauling cargo over long distances. ULCC and VLCC tanker rates are very sensitive to even the smallest changes in vessel demand relative to supply. According to Morten Arntzen, the chief executive of OSG, a closure of the canal could result in a need for 10 to 20 additional VLCCs, allowing VLCC rates to move from their currently unprofitable levels to moderately acceptable ones. Who pays for tanker companies' rising operating costs? Voyage and vessel expenses have been creeping up over the past year. Bunker fuel, the single most important cost driver for a tanker operator, has increased to about US$600 (Dh2,203) per ton from about $450 per ton a year ago - still below the peak levels of about $750 per ton in 2008, however. Tanker operators providing vessels under time-charter contracts have built-in fuel escalators and are, thus, able to pass on bunker fuel costs to the charterer. Spot-market operators in a weak tanker market, as we currently have, are less able to pass on higher bunker fuel costs because they don't have the ability to boost rates as readily as they would in a stronger market. How have Somali pirate attacks affected ship operators? Pirates from Somalia operating in the Indian Ocean off east Africa have become increasingly brazen, using firearms, launching attacks in deeper waters (now accessible to pirates with larger ships) and kidnapping hostages for use as human shields to force their demands. In November, pirates were paid a record $9.5 million ransom to secure the release of the Samho Dream, a South Korean crude oil tanker. In 2005, the average ransom paid to pirates was $150,000. In response, shipping lines sailing the Indian Ocean and along the west coast of Africa (especially the Nigerian Delta and Equatorial Guinea), another region seeing mounting insurgent activity, may have to obtain war risk insurance, engage armed security services, travel in convoys or retrofit vessels with antipiracy deterrents such as barbed wire fencing, high-pressure water hoses and safe rooms. Some carriers have successfully passed on the additional costs of incorporating these measures to charterers, and others have had to absorb the additional expenses. As is true for potential disruption of the Suez Canal, vessel operators benefit if these events force longer journeys, because those extra miles require more ships and help the balance of supply and demand. How have the unrest in Egypt and pirate attacks affected rated tanker operators? So far, there have been no direct effects on rated tanker companies, although they may benefit indirectly from rising rates. 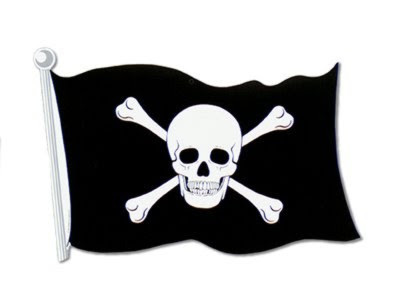 We will continue to monitor the effects of political developments … and pirate attacks. Platts: The 12-member Organization of the Petroleum Exporting Countries’ (OPEC) crude oil production averaged 29.57 million barrels per day (b/d) in January, up 300,000 b/d from December and the highest level in more than two years, according to a just-released Platts survey of OPEC and oil industry officials and analysts. The month-on-month gain from December’s estimated 29.27 million b/d came as a result of a significant boost in Iraqi crude exports. Excluding Iraq (which does not participate in OPEC output agreements) the 11 members bound by quotas (OPEC-11) pumped an average 26.91 million b/d, up 70,000 b/d from December’s 26.84 million b/d, the survey found. The OPEC-11 has operated under a 24.845 million b/d production target that’s been in place since January 2009. Declines of 40,000 b/d and 20,000 b/d in Iranian and Nigerian production volumes partly offset increases totalling 130,000 b/d from Angola, Kuwait, Saudi Arabia, the United Arab Emirates (UAE) and Venezuela. The latest increase in OPEC-11 volumes putsproduction 2.065 million b/d beyond the target and reduces compliance with the 4.2 million b/d of output cuts agreed in late 2008 to 50.8% from 52.5% in December. OPEC production has been climbing in recent months alongside rising oil prices, which earlier this month climbed above $100 per barrel for the first time in two years and last week pushed above $103 per barrel as political unrest in Egypt escalated. The group's most powerful producer, Saudi Arabia, boosted output to 8.4 million b/d in January after a 130,000 b/d hike to 8.35 million b/d in December, well above its notional quota of just above 8 million b/d. At present, it remains unclear whether higher production volumes from Saudi Arabia have been exported or used internally where power station demand has been high. On February 7, a senior Gulf source said Saudi Arabia was ready to supply more oil to the market but only if there was demand from its customers. This source said the market currently was in "good shape" and that the recent spike in global oil prices to their highest levels in 28 months had not been driven by supply/demand fundamentals. Brent crude futures have risen by as much as $13 per barrel since OPEC's December meeting in Ecuador, but top OPEC officials have insisted that this has had little to do with supply or demand factors. OPEC’s current president, Iranian oil minister Masoud Mirkazemi, said last weekend that he saw no need for OPEC to call an extraordinary meeting, prior to the next scheduled meeting in Vienna in June, even if the oil price were to rise to $120 per barrel. He said he had received no requests from members for a special meeting. But the Gulf source said on February 7 that Saudi Arabia was keen to hold informal consultations with other OPEC members on the sidelines of the upcoming February 22 ministerial meeting in Riyadh of the International Energy Forum. Platts’ survey data shows that Iraq production, at 2.66 million b/d, was the highest output level since November 2001, when volumes were estimated at 2.8 million b/d. Exports were up by more than 200,000 b/d, reflecting rising production as a result of field work by international oil companies. In particular, the increases are attributed to higher output from the giant Rumaila field, which is being developed by BP and China's CNPC, and the Zubair field, being developed by a consortium led by Italy's Eni. Demand in China for physical gold and gold-related investments is growing at an "explosive" pace and its appetite for the yellow metal is poised to remain robust amid inflation concerns, said an Industrial and Commercial Bank of China (ICBC) executive. ICBC , the world's largest bank by market value, sold about 7 tonnes of physical gold in January this year, nearly half the 15 tonnes of bullion sold in the whole of 2010, said Zhou Ming, deputy head of the bank's precious metals department on Wednesday. Gold imports into China soared in 2010, turning the country, already the largest bullion miner, into a major overseas buyer for the first time. The surge, which comes as Chinese investors look for insurance against rising inflation and currency appreciation, puts the country on track to overtake India as the world's top gold consumer and a significant force in global gold prices. Gold prices jumped 30 percent in 2010 and struck an all-time high of $1430.95. Spot silver surged 83 percent last year and is currently hovering at around $30 per ounce. Zhou said China's gold demand could grow at a stronger pace this year compared with 2010, as a choppy stock market and moves by Beijing to rein in property speculation and purchases means more investors will pile their cash in bullion investments. "Unlike the property market, investment in the gold sector is something the government is encouraging," he said. Beijing has encouraged retail consumption and announced lastAugust measures to promote and regulate the local gold market, including expanding the number of banks allowed to import bullion. Zhou said there was also voracious demand for silver, with the bank selling about 13 tonnes of physical silver in January alone, compared with 33 tonnes in the whole of 2010. The scale of China's gold demand, which has increased on average at a double-digit clip over the past decade, has caught the market by surprise. Data showed China imported 209 tonnes of gold the first 10 months of last year, versus 333 tonnes by India for the whole year. (1) Domestic oil production has risen in both 2009 and 2010, the first annual increases since 1985. Output is up more than 160 million barrels per year (8%) since 2008, according to survey data from the Energy Information Administration and projections for the final months of 2010. Rising output from the Outer Continental Shelf in the Gulf of Mexico and North Dakota's Bakken Shale accounts for all the increase, offsetting continued decline at other fields. High prices, intensive exploration and development, and new technologies for deepwater drilling and unlocking oil from shale have all combined to reverse the previous slump in U.S. oil output (see Chart A workbook below). (2) Increased pipeline imports from Canada to the Midwest (PADD II) have combined with Bakken output to reduce midcontinent refiners' consumption of other foreign crudes, cutting the need to bring oil up from terminals along the Gulf Coast and trimming volumes on northbound pipeline systems such as Seaway (Chart B). (3) Rapid growth in ethanol blending as a result of federal mandates enacted in the Energy Policy Act (2005) and the Energy Independence and Security Act (2007) has replaced an increasing volume of petroleum-derived gasoline, with the biggest displacement in the Midwest and along the East Coast, where most ethanol refineries are located (PADD I) (Chart C). These three trends have come together most powerfully in the U.S. Midwest, where Bakken oil, Canadian imports and plentiful ethanol from local distilleries have produced a glut of crude and products, and started to reverse the normal direction of flows. Instead of being a big net recipient of crude and products from other regions and abroad, as it was in the past, PADD II requirements have fallen sharply. Regional refiners have taken advantage of cheap local oil to boost throughput, seize market share in the midcontinent from Gulf Coast rivals, and dump surplus production into the East Coast. One result is a reduced flow of crude and especially refined products into PADD II from PADD III, which has left northbound crude and products pipelines with low volumes and under-utilised, according to one operator (Charts 1 and 2). Deprived of traditional customers in the Midwest, Gulf Coast refiners have been increasingly forced to find markets overseas. In the last three years, the United States has become a substantial exporter of gasoline and diesel to Europe and Latin America; almost all the increase has come from refiners in PADD III. The supply crisis in PADD II and reversing oil and product flows have contributed directly to the rise of a new breed of "merchant refiners" along the Gulf Coast producing for export markets (Charts 3 and 4). The other major result is that refiners on the East Coast have faced mounting competition from rivals in the Midwest and the Gulf, as well as Europe. Imports into the East Coast from across the Atlantic have fallen while several uneconomic East Coast refineries have now closed. Imports of finished products into the East Coast have shrunk from an average of 380 million barrels a year between 1981 and 2006 (and as high as 400-500 million in 2004-2006) to less than 240 million in 2009 and 2010. But arrivals of products from the Midwest and the Gulf Coast have remained steady, as PADD II and PADD III refiners have captured market share from both European refineries and East Coast refiners themselves. Record spreads between WTI and Brent are just one part of a much bigger realignment changing the face of the U.S. refining industry. Structural transformation is replacing the traditional flow of crude and products from the coasts to the midcontinent with a more outbound orientation that sees crude and products flow from the Midwest to the coasts and from the United States to export markets. Record Brent-WTI spreads and high refining margins for Midwest refiners are both reflecting and driving that shift. By John Kemp, Reuters market analyst – for Commodities Now.